Welcome to our website about Classic British Films. Here we will present a personal view of British cinema from it's beginings in the 1900's right through to the 1950's. Why no further? Well this is a personal view and as such, the period and the people and studios covered are the ones we are most interested in. NOTE: The site is being worked on as time allows. However, since this is a hobby and not a commercial endeavour changes may be slow in being forthcoming. Technology - Visit our guide here. Baffled by what gadgets to buy to watch and view films? We've started a little guide here of gizmos and new devices that are handy to know about! British Cinema Discussion the wickedlady.com discussion board has now been closed down and the idea is being re-evaluated. Meanwhile if you go to the page where it used to be you can find some suggestions for other websites which maintain a discussion forum for talking about old movies etc. 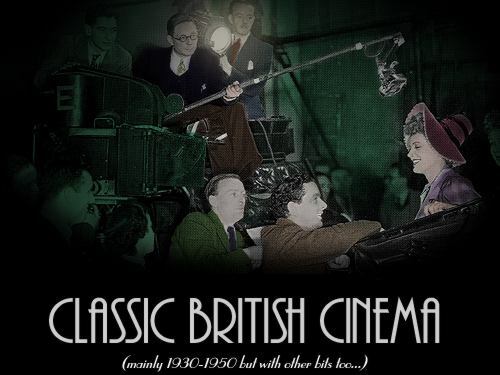 www.britmovie.co.uk - Dedicated to classic British films, cinema and movies. Note these pages are not here with the intent of any commercial gain. We are not a company seeking to make profit or any other kind of organisation with financial interests in this area of study. The web site simply reflects our own personal interests in the British Movie business and is here for those who have similar interests. Classic British Movies we felt were sorely neglected on the web and hence the reason why we made this effort. If you have any questions or concerns about copyright of any of the images used on our site please see our copyright page. The wickedlady.com Classic British Cinema pages are edited by H Jaremko and T Dolphin. All textual content is © copyright H Jaremko & T Dolphin. Images are the copyright of their respective owners. We have in all cases attempted to gain copyright clearance for any pictures used. However, if you think that copyright has been broken on one of your pictures then please contact us and we will gladly negotiate or remove the picture immediately.